An effective chiropractic marketing plan starts with a contemporary, mobile-friendly website design that connects emotionally with target patients and content that persuades them to choose your practice over another local chiropractor. Once you have a high-converting practice website, you’ll want to maximize organic and paid traffic from search engines, namely Google. Our research shows that over 80% of new patients start their online journey to find a new local chiropractor with their favorite search engine (not social media, online directories or referral websites). Social media is primarily an internal chiropractic marketing tool to build patient community. The benefit is increased patient retention (loyalty) and referrals. However, social media does aid new patient conversion as some new patients will review your social presence before they convert. 5-star online reviews with Google and other review sites aids new patient conversion. Conversely, monitoring poor reviews and taking the appropriate action is essential to manage your online reputation. An internal and external marketing tool, email marketing allows you to nurture existing patient relationships and new patient leads. Sending relevant email messages can encourage a new patient lead to choose you or prompt an existing patient to refer you. 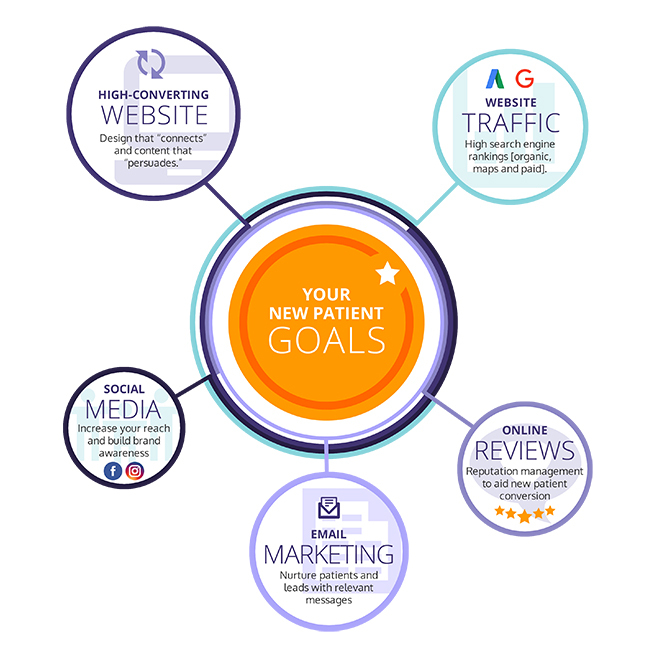 When you have the above five factors in place, your digital chiropractic marketing will produce a steady flow of new patients from the Internet. Contact Perfect Patients to schedule a complimentary review of your practice’s online presence. 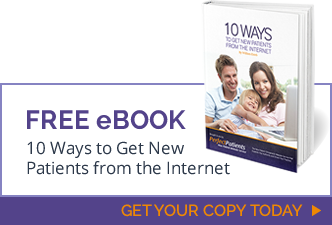 Discover the opportunities to grow your practice using the Internet.